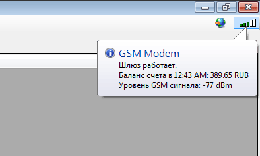 Windows forms tooltips implementation is severely broken when it comes to the balloon-shaped tooltip. 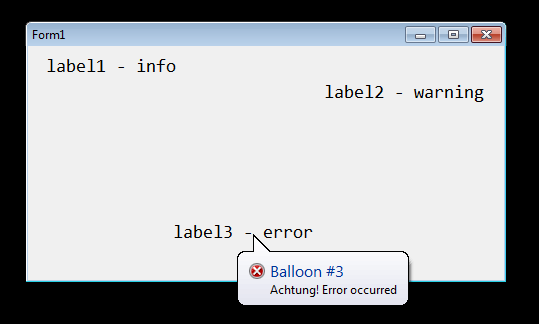 The “BalloonToolTip” class does what the name implies: it implements the Balloon-shaped tooltips correctly. On the right you can see how the balloon looks in the real application. By the way, yes I know my user doesn't give a damn to the dBm figure. 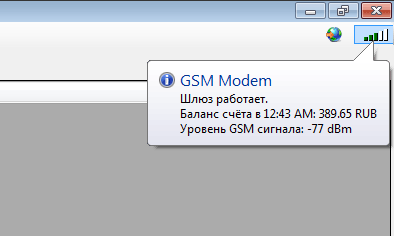 I already have the CR entitled “convert signal strength from absolume dBm to relative %” on my list (low priority). Download the demo project (C#, visual studio 2008). You'll need to copy the “BalloonToolTip.cs” source file in your project to use my tooltips. Of course I did no custom drawing, the tooltip are just native Win32 tooltips. The API might be a bit more clear, though.